I found Spirit of Lost Angels an interesting read, but came away with mixed feelings. I liked the development of Victoire's character and some of the secondary characters were also well crafted, but at times I found the plot a little unbelievably; certain circumstances just too amazing and coincidental. As a big fan of anything to do with the French Revolution, I found the setting of the scene in pre-Revolutionary France interesting, but I was reserved about how much the peasants bandied around the word 'revolution' so long before it actually began - especially since, when it did begin, it was something more of a bourgeoisie affair, at least in the early moments. Still, for a debut piece, the writing is assured and the prose very readable. For the most part, the dialogue also works well. 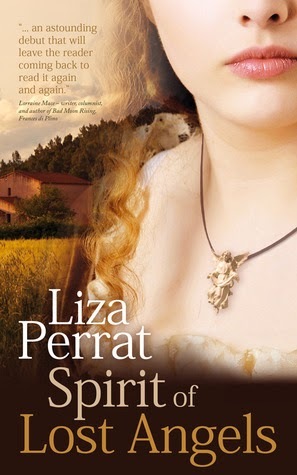 In conclusion, while this is not a book I'd rush to reread, it would be of interest to historical fiction fans and I would certainly be keen to see how Perrat progresses as a writer.